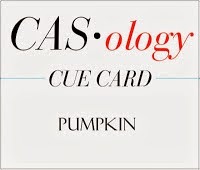 It's time for this week's CASology Cue Card!
' Inkers circle stitched dies. I love the look of the double stitched frame. When you create a window on your card you ar really decorating both the outside and the inside of your card at the same time. That combined with the frame adds interest without bulk. 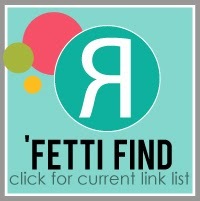 Once again because I used some fun Reverse Confetti stamps for my card, I am submitting it to this week's 'Fetti Find Link List. I am also submitting this to Simon Says Wednesday Challenge use a Rubber or Clear Stamp and CAS-ual Friday's In Stitches challenge. #117. I can't wait to see what PUMPKIN means to you! This is really cute. I love that double stitched frame. Perfect to frame the pumpkin. Fun - love the burst of bright colour! Love that sweet frame! I must try this! Awww! This is too stinkin cute - that sentiment along with the stitched circle and polka dot pumpkin.... so sweet Tracey! Sigh...what a sweet polka dot pumpkin! TERRIFIC card Tracey!! cute little pumpkin Tracey and what a great idea with the stitched circles! Adorable! 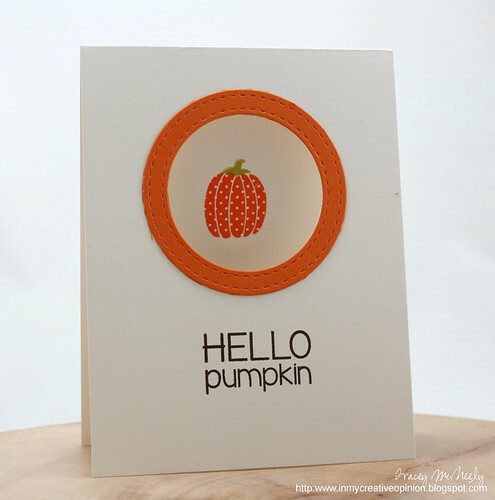 The stitched circular frame done in bright orange really shows off your cute pumpkin! what a great design with the circle cut out Tracey! Love the circle cut out! Ahhh...you're enabling with those Lil Inker circles. I love the double frame! this is so cute, Tracey! love this! the orange frame is perfect! This is the cutest card EVER!!!!! I saw it on Pinterest and loved it and then saw it was yours! So adorable!! This is beautiful! LOVING the pumpkin!!!!! This is just adorable Tracey!! 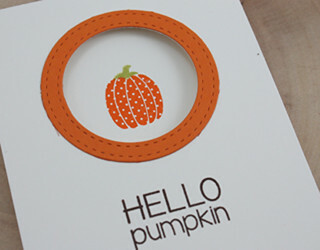 Love the stitched mat and that cute little pumpkin! What a super CAS card. That polka dotted pumpkin is adorable, and I love your window. Tracey, this rocks! CAS perfection!!! Thanks for playing along with us at CAS-ual Fridays! Yep, a perfect CAS card, Tracey! Thanks for sharing it with us at the Simon Says Stamp Wednesday Challenge! Love that stitched frame and I adore anything with dots...your pumpkin is sooooo cute. What a sweet, little pumpkin! And I just adore that stitched frame! Such a sweet little pumpkin! Very CAS . love it! You have certainly spoken to my desire for efficiency ... inside and outside decorating at the same time is a time-saver : ) Never thought of it that way before. But makes sense! 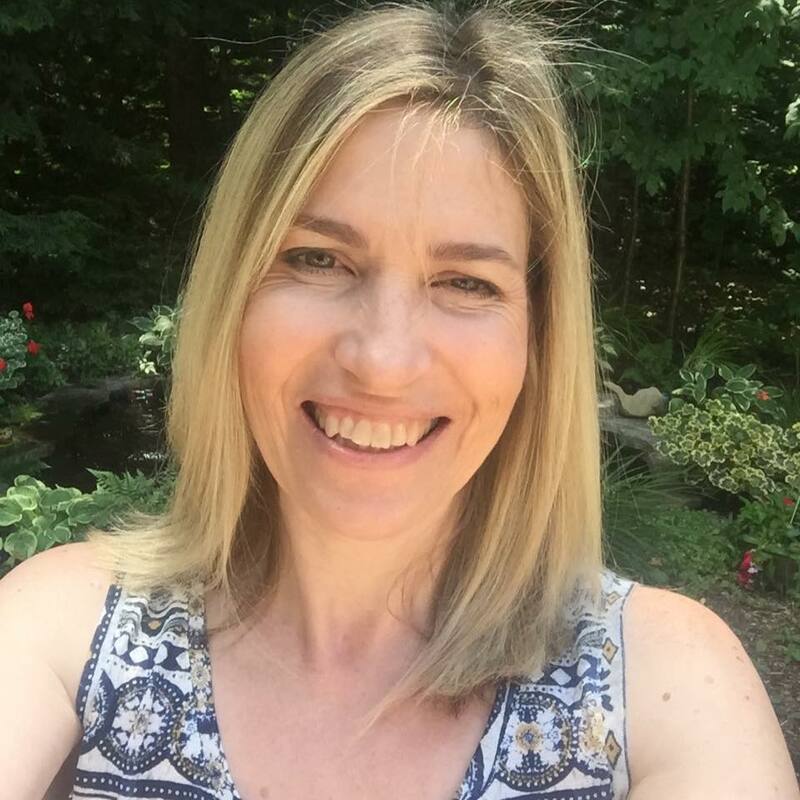 Glad to see you at the CAS-ual Fridays Challenge, Tracey! I love this card! Thank you for joining us at CAS-ual Fridays! This is such a cute window card. The stitched frame adds just the right amount of detail, perfect for your clean design! Ahhh...the queen of stitching is back on the scene with another amazing card!!! Love this CAS layout...I think I pin every one of your cards, I should just start a board with your name!